Just About Anything: Personalized Postcards Anyone? Do you love a personalized postcard? Have you got a business and wanted to promote something with style and class? Are you planning to get married and wanted to send Save The Date postcards to your friends but do not have the budget for it? Or do you simply just enjoy tinkering with your photos and turning them into powerful images that delivers an equally powerful message? Then here's your chance to get your own personalized postcards FOR FREE! Oh yes, I will be giving away 100 4x6 sizzling personalized postcards to one very lucky reader of mine. This mini-giveaway is brought to you by my proud sponsor UPrinting.com. So, if you have postcard printing and promotional printing needs, this giveaway might just be what you need. 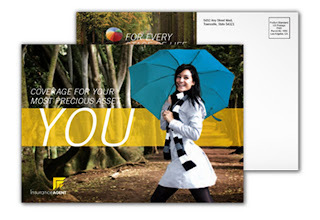 Here's a sample postcard but you can create your very own design or choose from UPrinting.com's design template. That's it! Good luck everyone. I will be drawing the one lucky winner via random.org on March 26th and will post the winner on March 27th. Remember, this giveaway is open to US residents only so my apologies to my other international readers. 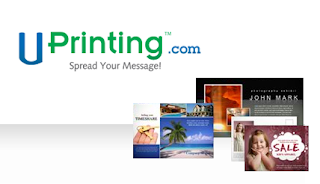 This giveaway is sponsored by UPrinting.com. Kikamz, gi-declare na ba nga teritoryo sa mga kano ang atong pinanggang pinas??? aron lang makaapil, LOL. nice contest but umm... me in malaysia.